A captain is only as good as his team; or so they say. Well, they are fools. Cricket, with its nuances and minute intricacies, with its subtleties and glorious uncertainties elevates Captaincy into an art form of the highest order. From Mike Brearley to Steve Waugh, from Imran Khan to Saurav Ganguly and from Richie Beanaud to Graeme Smith, Cricket is awash with examples of great captains inspiring their players to dredging the deepest of reserves and leading them to conquering the highest of peaks. A Cricket team is greater than the sum of its parts. The difference is the team’s captain. Little wonder then, that they say, in India, the Prime Minister’s job is the 2nd toughest job in the country, after that of the Country’s Cricket Captain; which brings us to MS Dhoni. 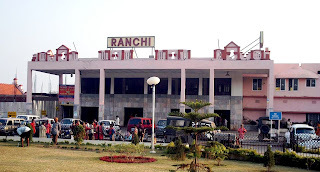 I had never been to Ranchi. But then again it is not the sort of place you will often find yourself needing to visit. By all accounts, it is a small city, inconsequential in the larger scheme of things. The most important street of the city is called ‘Main Road’, where much of the city’s commerce happens. Hence, it is remarkable that India’s most successful Captain hails from Ranchi. Note that I have said ‘Captain’ and not ‘Indian Cricket Team’s Captain’; for in India, both are one and the same. To be India’s Cricket Captain means, to compete with the Prime Minister for popularity. To be India’s Captain means to be hounded by the press. To be India’s Captain means, to carry the burden of the Nation’s pride. To be India’s Captain means to be all of this and then much more. Great men have been overawed by the task. Men, the stature of Sachin Tendulkar and Rahul Dravid found it a burden too heavy to bear. MS Dhoni captained India for 60 of the 90 Test Matches he had played in. MS Dhoni has captained India to Two World Cup Triumphs. MS Dhoni captained India to the Number One ranking in Tests. And, MS Dhoni hailed from Ranchi; a son of a pump operator. And so the temptation to intrinsically link these two phenomenon is great. It takes little imagination to hail MS Dhoni’s success as emblematic of the emergence of Small Town India. It is only too easy to suggest that MS Dhoni’s meteoric rise represents a new found upward mobility of small town India; the convergence of Bharat and India. It would be easy but you would be wrong; you would be a fool. For MS Dhoni is his own man. 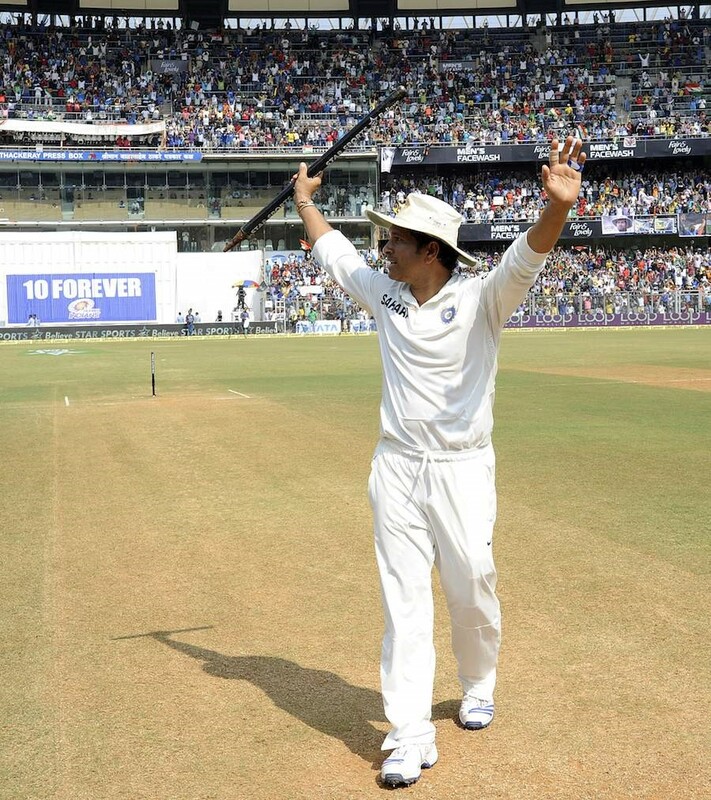 To Tendulkar, life was Cricket and Cricket was life. Dravid was a true student of the game. For Ganguly, Cricket was his greatest passion. To MS Dhoni, Cricket happened; it just happened. Dhoni excelled at all Sports but was consumed by none. His first preference was goal keeping; he took to wicket keeping on the stray, casual advice of a coach. It was not destiny because MS Dhoni could have taken up any other endeavour and he would have still been very much the same man. It was rather a cosmic accident. From then onwards, it was a straight road, albeit a rather steep one, to the Indian Cricket Team. I am not suggesting that he had it easy. Far from it. Dhoni never did have God-fathers; until of course till N Srinivasan came along, but that is an other story altogether. So, at each step, he had to prove himself. People were suspicious, people were sceptical. People were waiting for him to make a mistake so they could then dismiss him as just an other impostor. Dhoni did not oblige. Run Out of the 1st ball he faced. Against Bangladesh in Chittagong. That was his debut. 148 off 123. Against Pakistan in Visakhapatnam. That was how he announced himself to the world. 183* off 145. Against Sri Lanka in Jaipur. That was how the legend of Dhoni was born. If his long hair invited attention, his even longer shots inspired awe. Even as his mane impressed the likes of Pakistan’s then president Pervez Musharaff, he began inventing shots for which new names (helicopter) had to be found. Yet, for all his achievements as a batsman, Dhoni’s enduring legacy will be his contribution to Indian Cricket as a Captain. It was 2007. India was still smarting under the ignonimity of an inglorious exit from the 50 overs world cup earlier in the year in the Caribbean. The tumultuous reign of Dravid-Chappel had to end and end it did. India was looking for a new Captain. Tendulkar saw something in Dhoni and he suggested Dhoni’s name. Dhoni got the job. Less than 3 years after his debut, Dhoni was India’s Cricket Captain. His 1st assignment as a Captain was the T-20 world cup in South Africa. The troika of Tendulkar, Dravid and Ganguly chose not to play and rightly so. After the dismal performance in the other World Cup earlier in the year, expectations were unusually low. His rise as an ODI batsman was nothing short of meteoric. Less than 18 months after his debut, Dhoni was the world’s number one ranked player in ODI’s. Remarkably, Dhoni has been among the top 10 ODI batsman for a continuous period of almost 8 years now, ever since, February, 2008. In the history of the game only AB DeVilliers and Hashim Amla have both higher average and higher strike rate than MS Dhoni. And all this while keeping for his entire career and captaining for much of it. The Shot that changed Cricket! It was the 24th of September 2007. ‘Bullring’, Johannesburg, South Africa. 34,000 Capacity crowd. Two arch-rivals. One World Cup trophy. Against all odds India battled its way to the final, defeating England, South Africa, the mighty Australia and most thrillingly arch-rival Pakistan in a sensational bowl-out. All that mattered for little. It was Pakistan again. The stakes couldn’t have been higher. A World-Cup trophy to be won. 41 runs had come off the previous 3 overs. 13 runs required off the last over. A solitary wicket in hand. Pakistan’s best batsman, Misbah-Ul-Haq on strike. It doesn’t get bigger than this. It is Dhoni’s game to lose. Who will bowl the last over? Harbhajan Singh with his vast experience or the rookie Joginder Sharma. Dhoni makes his decision. Joginder Sharma, it shall be. It is a big big decision. A decision that could cost Dhoni his job, a decision that nearly costs Dhoni his job. Joginder Sharma is nervous. The 1st ball barely lands on the pitch. Joginder tries again. This time, it is not called a wide, but it was close, oh so close! Now, Dhoni is nervous. He dry retches, it is uncharacteristic of him but everyone is feeling the pressure. The next ball is a full toss. Whacked for a 6. 6 off 4 now. 1 shot away. A loss against Pakistan in a World Cup final will not be tolerated. It will cost Dhoni his job. It could cost Dhoni his career. Joginder Sharma runs in to bowl. 34,000 fans screaming. A billion more following on television. Yet again, it is wide outside off stump. But Misbah-Ul-Haq has made up his mind before the ball was bowled. He skips across, crouches low, and scoops the ball high into the air, back over his head. Harakiri. The crowd are on their feet. Holding their breath. Sreesanth at fine leg fumbles, but he holds on. He throws the ball high into the air. Ravi Shastri is screaming in the background. Fire-crackers go off simultaneously across India in an unadulterated expression of joy. India are world champions. Mahindra Singh Dhoni keeps his job. It is Tendulkar’s 6th World Cup. It is his last World Cup. His biggest dream. He wants to win it. The team wants to win it for him. The country wants him to win it. The Gods have decided that he will win it. 2nd April, 2011. Wankhede. Bombay. World Cup Final. 34,000 screaming fans once more. It was Wanderers, Johannesburg all over again. Except, this time it was bigger, much much bigger. This was Tendulkar’s country. Tendulkar’s City. Tendulkar’s home, Tendulkar’s destiny. It looked like Gods had indeed decided that Tendulkar was to fulfil his dream, that India would be World Champions, after 28 years, this time at home. Except it wasn’t to be, almost wasn’t to be. A bewitching century from Jayewardene ensured that India had to chase a challenging 275 to win. Mallinga gets Sehwag for a duck. Then Tendulkar, the 2nd highest run getter in the tournament, pelts 2 sublime drives. The gods wake up from their slumber to witness divinity. Wankhede is on its feet. The drums are beating, hearts racing, adrenaline pumping, a nation of a billion stands united. And then, he is out. Just like that. A silence, so oppressive, so complete, that you can hear your blood flow. Sri Lanka roars. India weeps. Heroically, Wankhede rises as one to applaud its favourite son. The match resumes. Sanity returns. Kohli and Gambhir string together a partnership. The nation begins to believe again. But no, it will not be so easy. Kohli is out. India still requires another 161 at almost run a ball. The stage is perfectly set for Yuvraj Singh. Yuvraj Singh would have made Winston Churchill proud. He had offered all of the blood, toil, tears and sweat which Churchill had promised his 1st cabinet. We did not know it then but throughout the world cup, Yuvi was battling that most fearsome and belittling of diseases; Cancer. He vomited blood off the field, he toiled on it, batting, bowling and fielding heroically; he shed copious amount of tears off the field, mentally, physically and emotionally drained, on the field he sweated it out, leading India to the World Cup Final; one match away from the promised dream. It was like he was born to win India this World Cup. Out he comes to do one final battle, to fulfill his destiny, to win India the World Cup. Except, it isn’t Yuvraj Singh. MS Dhoni, wearing a cap, strolls out nonchalantly. Yuvraj Singh had already blasted 341 runs at an average of 85 including a century against West Indies and a crucial half century against Australia in the Quarter Finals. Apart from this he had already chipped in with 13 vital wickets at a miserly rate. Yuvraj Singh was sensational in the World Cup thus far. Yuvraj Singh had 4 Man of the Match awards. Yuvraj Singh would go on to win the Man of the Series. In contrast Dhoni’s World Cup was at best luke warm. He had scored 150 runs with a highest of 34 runs against Ireland. He was clearly out of touch. Yet it is Dhoni who walks out. Clutch moments are those where legends are made, heroes are born and legacies are created. If ever there was a clutch moment, this was one. Dhoni is the master of clutch moments. If India loses now, Dhoni would not be forgiven. All that he had achieved thus far would count for little. The media would vilify him, the fans would crucify him and the administration would desert him. Dhoni did not care. At least he did not care nearly enough not to make his move, to seize the moment by the scruff of his neck and make it his own. That night, to come ahead of Yuvraj required tremendous courage and monumental self-belief but more importantly it also required a pinch of madness and a sense of adventure. Dhoni clearly had all of them and then some more. Soon enough, he would be joined by Yuvi. With 5 required off the last 2 overs, India had all but won the match. Yuvi takes a single; Dhoni decides that the time has come. The single most iconic shot in modern Cricket. Kulasekara bowls. Dhoni tees off. The ball soars into the orbit. Ravi Shastri is once again screaming in the background. Time stands still. An eternity passes. He holds his pose. The nation stands up as one. He tracks the ball all the way to the stands. And then, he twirls his bat! India erupts. Yuvraj rushes over. Gives a bear hug to his skipper, buries his face into Dhoni’s neck and cries. Dhoni stays calm, Dhoni remains cool. India has won the World Cup. 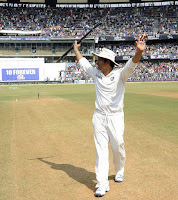 Tendulkar lifts the trophy aloft. A billion rejoice. Dhoni quietly slinks away into the background. Why did Dhoni toss the ball to Joginder on that fateful night in Wanderers? Why did Dhoni walk out ahead of Yuvraj at the Wankhede? Did he know something that we did not? Did he know that things will somehow work out all right in the end? Was there a tiny little voice within him telling him what to do? Or did he just get plain lucky? We will never know the answers to those questions. 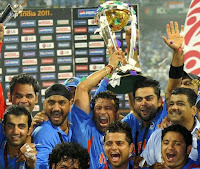 What we do know however is that the T20 World Cup win in South Africa changed the course of India’s cricketing history. It led to the IPL and Cricket was never the same again. The 50 over World Cup win in Bombay gave a gift to the nation that India will never forget. Fans across the country spilled onto the streets in a mad, spontaneous expression of joy. Strangers hugged, lovers kissed and traffic police joined in the celebrations. Somewhere between those 2 world cups, Dhoni changed. The long flowing mane gave way to a more sober hairstyle. Jet Black became salt and pepper. Polo T-Shirts replaced sleeveless vests. He put behind his rumoured affairs with Bollywood starlets, Deepika Padukone, Asin & Lakshmi Rai and married his childhood sweetheart. He became a father and named his baby girl Ziva. But most importantly, Dhoni the Destroyer became Dhoni the finisher. The average shot up, the strike rate crept down and Dhoni began to be known as Captain Cool. It almost seemed as if emotions were for lesser mortals. Dhoni was always unruffled, ever in control, ever the master of his surroundings. He won India more matches than ever before but now to the brute power was added cool cunning. For a while Dhoni was invincible. No target was too big, no bowler too good, and nothing was impossible. Bowlers began to be intimidated by his very presence. Dhoni would often reduce the contest to a shoot-out between himself and the bowler. And there would be only one winner. The long hair replaced by the grey hair. Dhoni, the ODI batsman, was the best in the world. Dhoni, the test batsman, was merely good. If Dhoni, the ODI captain was at all times in control, Dhoni the Test captain was often vulnerable. Test Cricket is the most unnatural of sports. Test Cricket is that timeless eternal being. In tests, Time is all encompassing, sometimes your ally and at other times your adversary. Embrace time and you conquer tests. To conquer tests, you had to engage incessantly and you had to have that burning desire. You had to court it actively, ever alert to its whims and fancies. Dhoni, with his penchant of letting things drift, struggled, especially overseas. Yet, between these 2 World Cups, India also became the No 1 ranked team in Test Cricket. Something it had never achieved before and has not again been achieved since. It meant a lot to the fans but it meant a lot more to the players themselves. Indian Test Cricket was served by some mighty fine men going by the names of Tendulkar, Dravid, Kumble, Sehwag, Zaheer, Laxman and Gangugly. Legends - Each of them. Ganguly himself, and later Dravid and Kumble laid the foundation for this most magnificent of achievements. But it was Dhoni who finally led India to the pinnacle of Cricketing glory. Small-Town Dhoni had an aura of control about him. Perhaps, Tendulkar was his only Hero, but even then, he never fawned over him. I was there at the Wankhede, when Tendulkar bid adieu to his glittering career, amongst an atmosphere of unprecedented emotional frenzy. The crowd, in unison, demanded that their hero be given the ball. Dhoni the skipper, for a long time, did not oblige. After all, Dhoni was his own man. He might not always have inspired affection in his team mates but at all times he had their unmitigated respect and unflinching trust. Greg Chappel got many things wrong about Indian Cricket but he couldn’t have been more right when he said about Dhoni "He's an old soul. He has been here before." Dhoni captained a team of superstars and he captained it mighty well. Dhoni was the man whom we knew not. Dhoni was an enigma! He belonged to that rare breed of men who do abide by rules not because they need to but because they can’t be bothered to break them. Rahul Dravid and Harsha Bhogle, the most erudite of men, struggled to make sense of him. And surely that tells you something. Much of Dhoni’s success both as a Captain and as a player can largely be attributed to his fearlessness; a fearlessness, that had its basis not in arrogance but in a rather uncommon self-belief. Dhoni was neither a student nor a servant of the game. He was merely a person doing his job and being jolly good at it. He was a freak in so much as that he almost did not seem to care about achievements and accomplishments. It almost looked like as if the more he achieved, the less he cared. And perhaps, paradoxically, that was why he was able to extract so much out of his not unlimited talent and ultimately achieve those magnificent feats of his. Dhoni had this wonderful ability to be able to maintain perspective. He had a life outside Cricket and he knew that, Cricket at the end of the day, was just a game. Just as he did not get carried away by wins, defeats did not devastate Dhoni. Once, when asked to compare the consecutive white-washes that India suffered against England and Australia, Dhoni in his inimitable style replied "When you die, you die. You don't think which is the better way to die." 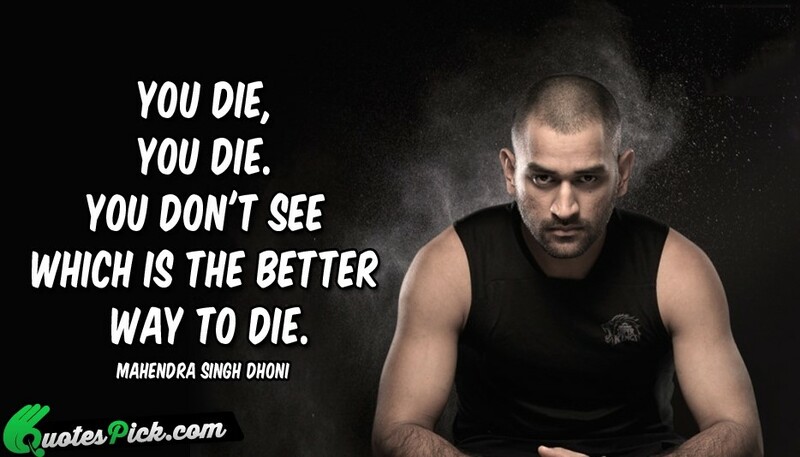 Dhoni said it. No one else could have said it. He wore Captaincy lightly, just as he did fame, but at all times, he treated it with utmost respect. This rare poise that he possessed equipped Dhoni with a great sense of clarity. He was able to maintain his cool even in the most trying of circumstances. It is not hard to imagine that the great Rudyard Kipling had Dhoni in mind when he wrote his immortal poem ‘If’. This is what made Dhoni such a great Captain. 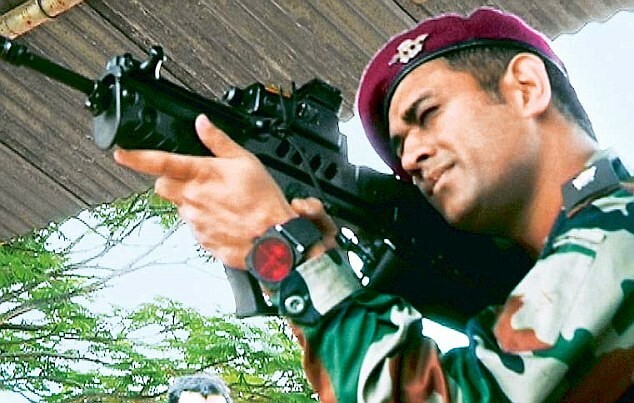 It is illuminating that the Army holds such great fascination for MS Dhoni. Dhoni has been conferred with an honorary rank of lieutenant colonel. He often travels in camouflage with his camouflage luggage in tow. He is also known to sleep in his army uniform. His wicket-keeping gloves are a tribute to the armed forces, made to order in Meerut. He knows his weapons and apparently is not shy to use them. By all accounts, he is a bloody good shot. There is a lot of pomp and hullabaloo associated with the armed forces, yet the best ones make no fuss. What is it with the armed forces that appeals to the calm, methodical mind? Perhaps, they enjoy the rigor, the discipline, the order. Perhaps, they embrace the challenge of keeping ones’ mind when all around them are losing theirs. What would Dhoni do after he retires? Would he serve the army in some capacity? Would he join politics? The thought is not as preposterous as it initially seems. The madness of it all and the immense challenge of it would probably invigorate him. After all, if there was one occupation even more chaotic than that of an Indian cricketer, it is probably that of an India politician. But anyway, it is not really a question that needs answering right now. We are merely digressing. A sportsman’s greatest enemy is time. It reduces the mightiest of cricketers to pale unrecognizable shadows. Stealth is often its preferred choice of attack; even before a cricketer begins to sense the danger, the pedestal is pulled under him and he is vanquished. Time spares not the best of them. Some like Kallis and Sangakkara choose to walk away before they are inevitably defeated. Others, like Tendulkar, fight on, often heroically, but always in vain. Dhoni is still ranked No 6 in the ODI rankings. Dhoni is still India’s best Wicket-Keeper batsman by a mile and then a half. Yet, it seems, the time for Dhoni is not all that far away. The Midas touch is no longer Dhoni’s prized possession. The Helicopter shot is to be seen but rarely. And the fabled calm has begun to give way to frequent bouts of irritation and frustration, and at times even petty petulance. It all perhaps started in Windsor Park, Dominica, shortly after the World Cup triumph in Mumbai. India, still the No 1 ranked team in the world aborts a chase needing 86 off 90 balls. It was a tell-tale sign. The Dhoni of April 2011, the Dhoni who walked ahead of Yuvraj Singh, would have gone for victory. The Dhoni of July, 2011 settled for a draw. India won the series but Time had struck its 1st blow. India would go on to lose the next 8 away matches. 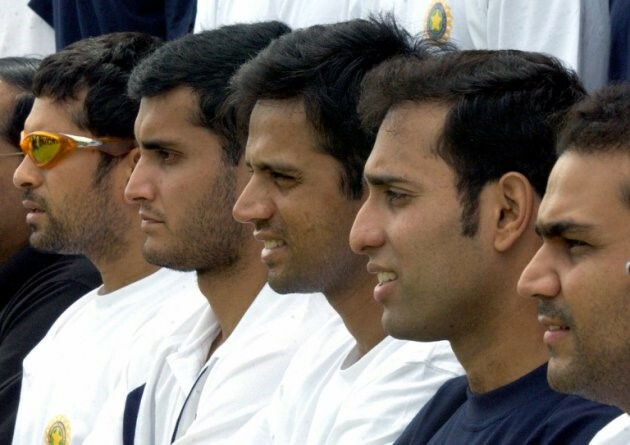 The 8-0 took many victims including Dravid, Laxman and eventually Tendulkar. Today, India is not among the top 3 ranked countries in Tests. 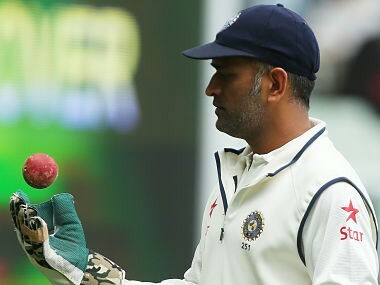 Today, Dhoni is no longer India’s test captain. Today, bowlers do not fear Dhoni anymore. Today, Rabada, a 20 year old rookie defends 11 runs against Dhoni in the last over. And today, Dhoni is no longer invincible, but, just an other batsman. To a true fan, a sports person’s battle against the ravages of time is the most compelling of them all. Even as Dhoni undoubtedly approaches the fag end of his career, questions remain. How long will he be able to keep time at bay? Will he do a Tendulkar and have a glorious second lease of life? Will there be one last final flicker of flame before darkness eventually sets in? Will he go away in a blaze of glory after leading India to another T-20 World Cup triumph here in the colossal Eden Gardens, or will he sneak away quietly into the sunset. No matter how it all turns out, Dhoni would have been the best thing that happened to Indian Cricket in a long long time. All hail the skipper! All hail Captain Cool! All hail Mahendra Singh Dhoni! !